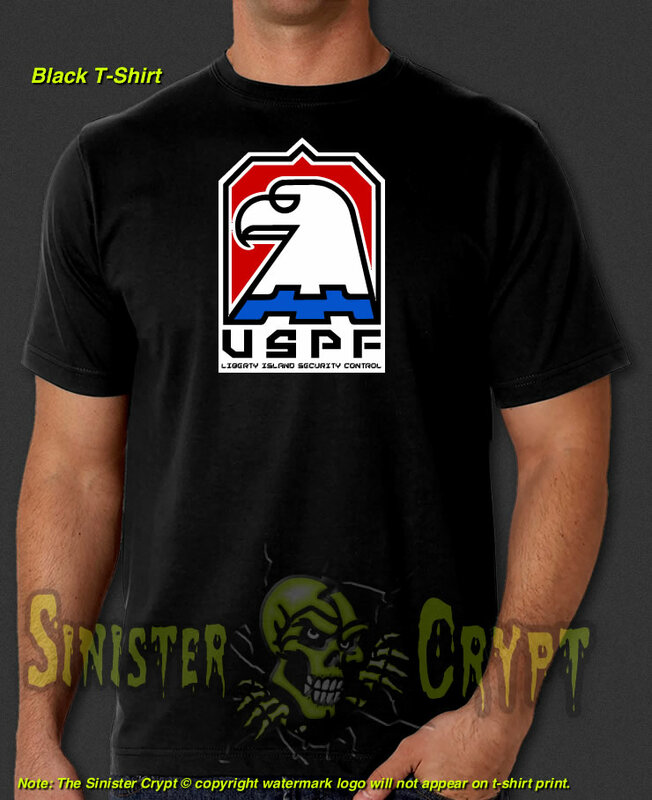 Escape from New York USPF, Liberty Island Security Control t-shirt. The USPF, United States Police Force, is the American government's group of soldiers & law enforcers which was featured in the 1981 dystopian science-fiction film Escape from New York starring Kurt Russell as Snake Plisskin. Makes a great gift!